It was May, 1984 – an Olympic year. Jim Sloan, celebrity photographer from Redlands, really pushed the invitation on me. There was a group of guys getting together for a reunion, of sorts. It was at the home of Robert Scholton, who was truly a pioneer of Redlands. Citrus groves and all. Scholton had married into the Walter Hentschke family – one more Redlands-area pioneer. At this reunion, however, the guest of honor was a guy named Payton Jordan. Payton Jordan’s Hall of Fame coaching career began in Redlands in 1939 at Redlands Junior High School (photo by Occidental College). One night earlier, it had been “Olympic Night” at Redlands Country Club. Naturally, Jordan was the featured speaker. He didn’t speak on golf. The “club” was directly across the street from Scholton’s home. Scholton, Sloan and a bunch of buddies had invited Jordan to Redlands. He’d been around more than a few times. This visit, however, was special. Plenty of guys had been summoned for this reunion. It was an Olympic year, after all. Jordan had plenty of connections to the Olympic games. Way back in 1939, before World War II, Jordan had coached at Redlands Junior High School. He’d just graduated from USC. That junior high campus had been located right across Citrus Ave. from Redlands Senior High – that is, before the two campuses were merged into one full high school. After the war, Jordan returned. Little did I know then that Jordan had been a high-achieving two-sports star at USC – part of an illustrious Trojans’ football team, later starring on their nationally prominent track team as a sprinter. He was from nearby Pasadena, the same city that produced the Robinson brothers, Jackie and Mack, who went to USC’s rival, UCLA. Jordan had been coached in football by the illustrious Howard Jones (121-36-13, record), who’d been Trojans’ coach from 1925-1940. Track coach Dean Cromwell, the U.S. Olympic coach in 1948, might’ve been even more prominent. The USC guys that he coached, including Jordan, were too numerous to highlight. Jones and Cromwell are both Hall of Famers in multiple spots, not just USC. It’s important to note the scintillating connection between Jordan, USC and Redlands. It was easy to see why Jordan was so highly favored around Redlands. Scholton, Sloan & Co. were his boys. When Jordan showed up just before the war, his background must’ve seemed spectacular in this small-town haven. A USC guy in Redlands? Years later, Jordan had only added to his lengthy list of achievements. Once I’d arrived at this glorious Redlands Junior High reunion, held at Scholton’s old-century, country club-style residence, I was only aware that Jordan had been 1968 Olympic coach – nothing else. If only I’d known his remarkable record. Jordan, splendidly dressed and warmly received by about a dozen older men – now retired, some with money, nice careers – couldn’t have been more gracious. Jordan personally knew 1936 Olympic hero Jesse Owens. In 1938 and 1939, Jordan shined on USC’s national championship track team. He was part of a world record 4 x 110 (yards) relay, 40.3, in 1939. Also in 1939, Jordan played on USC’s Rose Bowl-winning team, 7-3 winners over Duke. In 1941, Jordan won the AAU 100-yard title. By his senior years up to age 80, Jordan was an age-group champion and record holder – refusing to stop competing. As an athlete, Jordan missed out on the 1940 and 1944 Olympics due to World War II. Sloan, Scholton & Co. wanted this reunion covered in the newspaper. Jordan’s career had been phenomenal, to say the least. His collegiate football exploits were spectacular. On the track, he’d been a whiz. After World War II, where he served in the U.S. Navy, it was time to get rolling in a career. 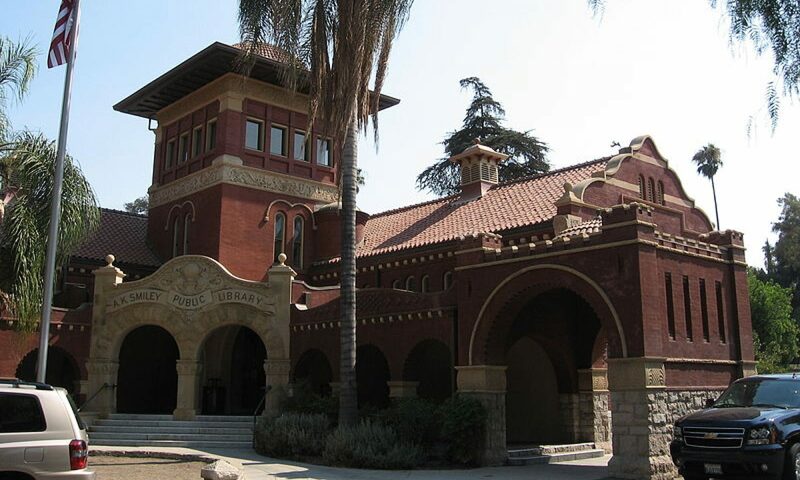 After coaching those guys at Redlands Junior High, Jordan landed at venerable small-college Occidental, located in Eagle Rock, next to Pasadena. It was like a hometown job for him. After a decade (1946-57), after nine outright conference track titles and one tie, he’d been whisked away to take the track program at Stanford over next 23 years. Imagine. It all started at Redlands Junior High. Billy Mills’ remarkable upset win at the 1964 Tokyo Olympic 10,000. Bob Beamon’s world record long jump, 29-feet, 2 ½ inches at the Mexico City Olympics. One of his Occidental athletes, Bob Gutowski, set a world pole vault record (15-9 ¾). Discus superstar Al Oerter nailed down his third and fourth gold medals under Jordan’s watch. When Jimmie Hines won the 1969 Olympic gold medal in a world record 9.9 seconds, Jordan was head coach. Tommie Smith’s 200-meter gold medal in 19.8 seconds led to the “power salute” protest in those ’68 Games. It included third place finisher John Carlos. Quarter-miler Lee Evans set a world record 43.8 seconds in winning the 1968 Olympic gold medal. In 1960, at the Olympic Trials, Jordan ran the U.S. squad in a meet at Mt. San Antonio College in Walnut, Calif. in which no fewer than seven world records were set. During that 23-year career at Stanford, Jordan’s Indians (now Cardinal) had produced seven Olympians, six world record holders and six national champions. From the left, Australia’s Peter Norman, Tommie Smith and John Carlos in the Olympic medal ceremony at the 1968 Mexico City Olympics at which the two Americans were protesting the poor treatment of Blacks in the U.S. (photo by Wikipedia Commons). This is just a small sampling of the exploits of the man I was sitting next to at Scholton’s home in spring 1984. At the time, I’d known none of all those achievements. If I’d been paying attention to my TV set in 1968 – watching the track portion of the games more, perhaps – maybe I’d have noticed the interview with a certain ABC superstar broadcaster. The media had treated Jordan favorably, except for one nasal-toned, often exasperating, yet highly entertaining sportscaster from New York. Guess I’d better be careful in my interview. Scholton had once been offered by Jordan to help him coach at Stanford. The year, 1957. Scholton, a 1937 University of Redlands graduate – Pi Chi, track, cross country, biology major – was a teaching contemporary of Jordan’s at Redlands Junior High. Scholton, according to the folklore, had served under NFL legend George “Papa Bear” Halas during his own U.S. Navy stint. Back in Redlands, Scholton taught biology and coached the runners in both track and cross country. More of the folklore came after Jordan took the job at Stanford, apparently offering Scholton an assistant coach’s role to his former contemporary. Scholton was a homegrown, however. He stuck around Redlands. The association between Scholton and Jordan, however, lasted for years. Scholton retired in 1970. Jordan called it quits in 1979. Scholton, however, had blocks of track & field tickets at the Coliseum. I bought a couple from him for me and my father-in-law, Dean Green – an assistant principal, of all places, in an office that was on the same side of the street where Redlands Junior High School once existed. Footnote: Ben Johnson disproved that theory four years later in Seoul. Jordan admitted, however, that drug-using athletes could reach their Olympic goals in maybe half the time — four years, for instance, instead of two. All of the normal workings of the Olympic disagreements are simply the workings of non-athletes seeking to control the athletic world. History records that Hitler turned his back on the onetime Ohio State star at the 1936 Berlin Olympics. Germany long jumper Lutz Long, Jordan proclaimed, had given Owens a tip that helped lift him to win that fourth gold medal in Berlin. Jesse Owens, the hero of the 1936 Berlin Olympic Games, was a strong acquaintance of Payton Jordan, the onetime U.S. Olympic coach who began his coaching career in Redlands. Owens showed up to support Jordan during the black protest movement during the 1968 Mexico City Olympics (photo by Wikipedia Commons). In 1968, Owens had been summoned to Mexico City for a bull session with the team. Smith and Carlos, it had long been rumored, were set to protest at an Olympics in which several black U.S. athletes had decided not to participate – perhaps in their own protests. It’s one reason why Cosell was so blatantly in Jordan’s face. Part of that was that Smith and Carlos were suspended from the Olympic team and sent home. Jordan says he took no part in the protest movement. The U.S. came out of 1968 with more gold medals and Olympic records than any Olympic before or since, he said.